Umezawa Yukari (梅沢由香里 Umezawa Yukari, born October 4, 1973) is a professional Go player. Following her marriage in 2002, she is legally known as Yoshihara Yukari (吉原 由香里). And in 2011, she changed her professional name to match the legal name. Umezawa is a Japanese professional 5-dan Go player in the Nihon Ki-in, credited with technical advice for Hikaru no Go. She stars as the teacher in Go Go Igo. Her teacher was Kato Masao. Umezawa won the 10th Women's Kisei Title (2007). This was her first challenge and win for a top title, she defended it in 2008 and 2009, she finally lost it to Xie Yimin in 2010. Umezawa is married to Shinya Yoshihara (吉原慎也 Yoshihara Shin'ya), a professional soccer player. Here is her official website. Jan van der Steen's brief GoBase biography links to 15 games by Umezawa-san, and let me find photo albums at Nihon Ki-in. Yoshihara was promoted to 6-dan in 2013. Yoshihara has achieved over 300 total wins (as of 2012). Her most recent title attempt was in 2011, where she unsuccessfully challenged Xie Yimin (謝　依旻) 2-0 for the 14th Female Kisei, a repeat of the previous year. The number of children coming every Sunday to the Nagoya branch of the Nihon Ki-In to join the Children's Go Class has doubled in one month time. This is without a doubt the "Hikaru No Go Effect" the cartoon is still going strong and finally seems to move youngsters to pick up the game. Umezawa 4p admits she does not actually supervise the technical aspects of "Hikaru No Go" although her name is on the front cover with the claim she does. A source working at a TV station mentioned that during a later cut part of an interview Umezawa Yukari said she never read through the books before they'd hit the press. For technical support the writer of HikaGo, Mrs. Hotta Yumi, often contacts pros from the Central Japan Branch of the Nihon Ki-In. During the first books especially her former go-teacher, Mizuno Yoshika 2p from Gifu pref often helped Mrs. Hotta out. : Shinya Yoshihara's name is expressed in the Western order (given name then family name) as Shinya Yoshihara is not a professional Go player (he is a professional soccer player). Umezawa's last name is in the Japanese order (family name then given name) as she is a professional Go player and people in the Anglophone Go community usually prefer Japanese order. As Umezawa is married, she is legally known as Yoshihara Yukari. For more information about Japanese names, see Japanese name. 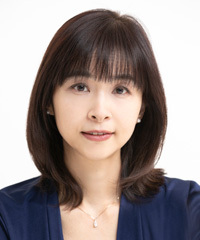 : Umezawa's name is written in English "Yukari Umezawa" (the Western order, given name before the family name) in the English language portion's of her personal website and on the Hikaru no Go books published in the United States and Canada. Her name is given in the Japanese order (Umezawa Yukari, family name before the given name) on many Go-related websites.